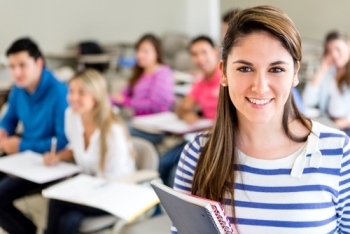 Like much of Calgary, Chaparral offers a wide variety of educational option for local residents. Chaparral schools can be found both within the community and in a number of sister communities. Chaparral offers a well-rounded base education to all students that integrates science and fine arts into core learning concepts. A large number of clubs are available, including music, dance, chess, math, running, eco, choir, cooking, French, science, and animation groups. Chaparral Elementary also takes advantage of enrichment opportunities whenever possible, and in the past has used grants to host an artist in residence, build an organic vegetable garden, and enhance the school’s library collection. Located in the centre of Sundance, Fish Creek School is a modern school dedicated to promoting lifelong learning and creating citizens that are responsible, informed, and who act with integrity. Parent support and involvement play a significant role in this learning environment, which blends academics, technology, literacy, and fine arts education. MidSun can be found close to Fish Creek Park, and receives students from several Calgary communities in addition to those from Chapparal. To enhance the provincially set core curriculum, MidSun students have the opportunity to choose from nearly a dozen optional courses. The school has fantastic athletic facilities and offers a daily module physical education, ensuring students are raised to be active and healthy. Chaparral families can choose to send their students to the following French immersion schools: Sundance Elementary, Fairview Middle, and Dr. E.P. Scarlet High. Note that additional French immersion options are also available within the Calgary Catholic School District–see “Separate/Catholic” schools below. A Spanish bilingual program is available to Chaparral residents via Canyon Meadows (K–4), Robert Warren (5–9), Dr. E.P. Scarlett (10) and William Aberhart (11–12). Chaparral’s designated Montessori school is Lake Bonavista School in the namesake community. 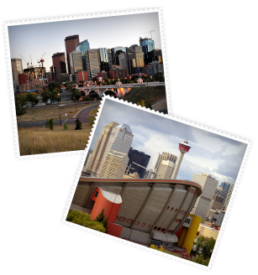 Calgary has a small network of excellent private schools available to Chaparral residents. The closest schools to the community are Green Learning Academy and Strathcona-Tweedsmuir School. Green Learning Academy uses a student-directed teaching method, which encourages students to fulfill their real potential. Strathcona-Tweedsmuir, which is en route to Okotoks, has been recognized as one of the top 25 private schools in Canada.